OUHOUT MEUBELS had its humble beginnings when co-owner Piet Smith started making racks from old Oregon pine wood. That is also where the name originated. It was decided to keep the name because of its history and because the stores are already well established throughout the country, even after the corporate image was changed to keep up with the high end market it serves today. OUHOUT MEUBELS translated is “old wood furniture” and the name is also relevant to the type of wood used. Most of the wood is recycled hard wood, that has gone through the processes of time. Using old hard wood, is not only environmentally friendly, but delivers far superior quality furniture that will last hundreds of years. Although OUHOUT MEUBELS carries the largest variety and stock of this kind of furniture, it still manufactures each piece individually and often to the clients specifications. Clients are always welcome to visit the original factory in Graafwater where most of the furniture is made. It is one of the tourist attractions of the town. The business specialises in the manufacture of cottage style furniture. 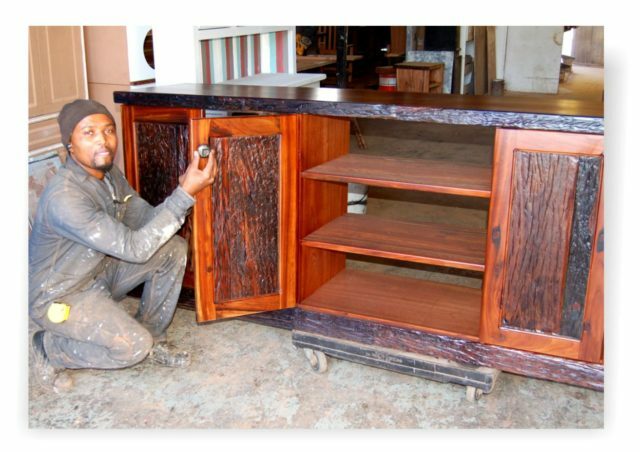 Clients can choose from oregon pine, blackwood, sleeperwood, oak, whitewash and leather furniture. Their choice is further extended by the different unique Oregon pine and blackwood staining methods and the different finishes of the sleeper woods. The current product line is very extensive ranging from beds, tables and chairs, coffee tables, various styles of frames, shelves, TV stands, corner units, and plasma units. 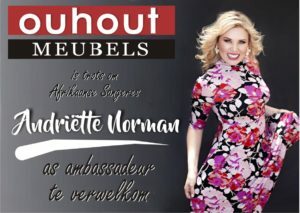 The specialists at OUHOUT MEUBELS have the experience and expertise to manufacture and design almost anything on demand. All furniture is of the highest quality.